Every single one of the 10 counties with the highest rates of Internal Revenue Service tax audits are overwhelmingly black. The 10 counties where the IRS audits the least are disproportionately white, with very few black residents. Sometimes, there is no need to beat around the bush. 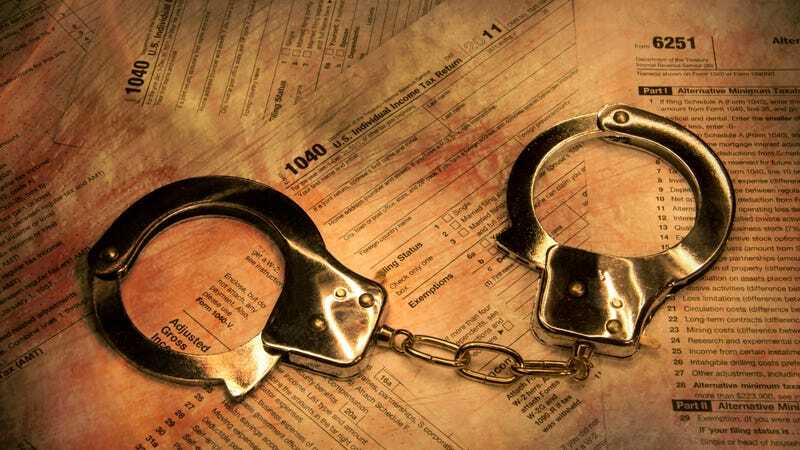 According to a new report from TaxNotes by former IRS economist Kim M. Bloomquist, and subsequent reporting by ProPublica, the IRS rarely targets wealthy people for audits. But when The Root looked at ProPublica’s mapping data and compared them with Census data and Bloomquist’s findings, we found that the bias wasn’t just geographical or income-based. Instead, we found that the government agency focuses its scrutiny of poor, disproportionately black areas, mainly in the “black belt”—the area in the Southern states where the African-American population is high and income is low. For instance, the residents of Lowndes County, Ala.—a place United Nations officials said had “third-world poverty”—has one of the highest audit rates in the country—about 10.1 audits for every 1,000 filings. (The U.S. average is about 7.7 per 1,000, according to ProPublica’s research). Lowndes County is 74 percent black, the median income is $27,914, and nearly one out of every three Lowndes County resident lives in poverty. On the other side of the coin, Anne Arundel County in Maryland is one of the most affluent counties in America. Its median income is $96,483 per year—more than triple that of Lowndes County. Yet surprisingly, Anne Arundel County has one of the lowest rates of audits in the United States (7.1 per 1000). However, the places with low audit rates aren’t marked by wealth. Some of the most diverse, wealthiest counties in America (Arlington, Va., and Howard County, Md., for instance) are typified by normal audit rates. It is only when you factor in poverty and race that you get the high audit rates. Nearly every place where there are pockets of black poverty has become an IRS target for audits. In fact, when The Root did a county-by-county mapping of the non-white population, it was stunning how closely it resembles the places where the IRS audits more. Graphic: ProPublica: Where in The U.S. Are You Most Likely to Be Audited by the IRS? We also discovered that even if there were few blacks in a place where the audit rate was high, there were still very few white people. Oglala Lakota County, S.D., for instance, has an audit rate of 11 audits per 1,000 filings, making it one of the most-audited places in the country. Even though it’s population is only .04 percent black, it also has a low white population because 92.6 percent of the people in Oglala Lakota County are Native Americans. The IRS doesn’t audit where poor people are, they audit where white people aren’t. As an example, one of the poorest counties in the United States, Crawford County, Ind., is 97 percent white. Still, their audit rate is 7.7 per 1,000—right at the national average. That’s because places with high percentages of white residents — rich or poor— are rarely audited by the IRS. Economists say this disparity is mostly due to the earned income tax credit, a tax program that essentially refunds taxpayers who are living in poverty. The amount of the EITC is dependent on a recipient’s income, marital status, and the number of children they have. In 2016, according to the Center on Budget Policy and Priorities, the EITC was about $3,176 for a taxpayer with children, compared with just $295 for a family without children. Because of this, the IRS audits the poorest Americans to verify the details that qualify taxpayers for the EITC. That’s right. The IRS is shaking down the working poor for $2,881. The IRS has cracked down on people who use the EITC more than any other tax deduction or credit, which means the agency has decided to focus on families living in poverty, instead of wealthier, more affluent citizens and companies. And the IRS is targeting these families even though it knows that this category of taxpayers is one of the least likely to cheat on its taxes. People who report business income are more likely to skirt tax rules, and when IRS agents find discrepancies on the filings of low-income earners, it’s usually attributed to a tax preparer or human error. Focusing on people who use the EITC is the IRS’s prerogative, and wanting to catch people who commit fraud is understandable. In an email to ProPublica, the IRS even said that race and geography are not used to determine who they will audit. It might just be that more poor people of color file their taxes using the EITC, in which case, everything makes sense. According to the Brookings Institute, white-working voters make up the largest percentage of EITC tax filers (nearly 50 percent) while black filers only make up 19 percent of earned income-filers. Yet, the heaviest concentration of IRS scrutiny is exclusively in places where black people live. When we looked at the black populations in Tax Notes’ list of the counties with the highest audit rates, it shows that the IRS is targeting some of the blackest communities in America. Even more revealing, the places with the lowest concentration of audits are some of the whitest areas in the country. Criming While White: Why Would Trump Change a Tax System That Made Him Rich?